There isn’t a person in New England today who isn’t proclaiming Thomas Edward Patrick Brady Jr. the QB G.O.A.T.. There is a strong statistical case for Brady and Manning to be the first two names on the NFL’s regular season Mount Rushmore, and then Pats fans will quickly point at postseason record to declare Brady as the evidently superior. 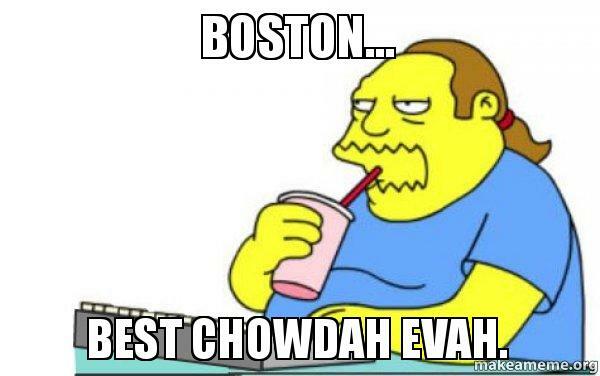 Most playoff victories ever, tied for most championships ever – why are we even having this discussion, let me get back to my wicked good chowdah. An interesting thought experiment though is to try and imagine – if the last 15 years of existence were somehow repeatedly played over – how many Super Bowls, on average, Brady would have won. Chase Stuart used the Vegas lines and a little educated guesswork to put the number at 2.6. My method is a little different. 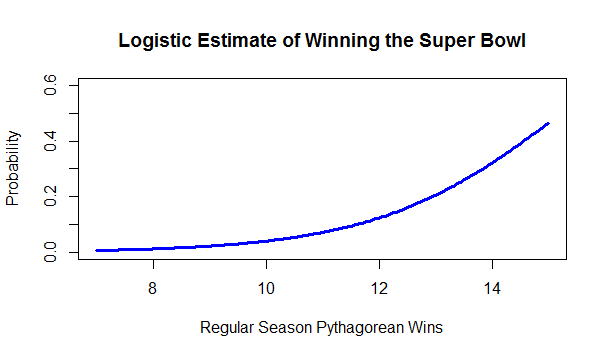 I ran a logistic regression to estimate each team’s chances of winning the Super Bowl based off their Pythagorean Wins (the best predictor of the few I tried). No team has ever made the playoffs with 6 or fewer (real) wins so those teams were eliminated and the graph below is for the 2002 season onwards when the current playoff format began. Using these implied probabilities should even out for some luck factors such as the draw you get in playoffs, or simply what division/conference your team happens to play in. During the 2002 season, Brady won 9 games and failed to make the playoffs, but teams of that quality that have absolutely made the playoffs…and even won it all (first Eli reference of this post). Brady should therefore get some credit for that season. This is significantly lower than Stuart’s estimate. Brady has outperformed his expected ring total by 2.5 Super Bowls in the reality we have experienced, while Manning has barely under-performed by this metric, despite his lone ring and mildly absurd five MVPs. Of course, it is completely unfair to deny Brady any credit for those extra championships and just put it all down to luck. There is some evidence that postseason play is different from regular season football, and whatever your thoughts on the mythical clutch, the most likely reality is that some combination of luck, skill and Bill Belichick is responsible for Brady winning so much in the playoffs. 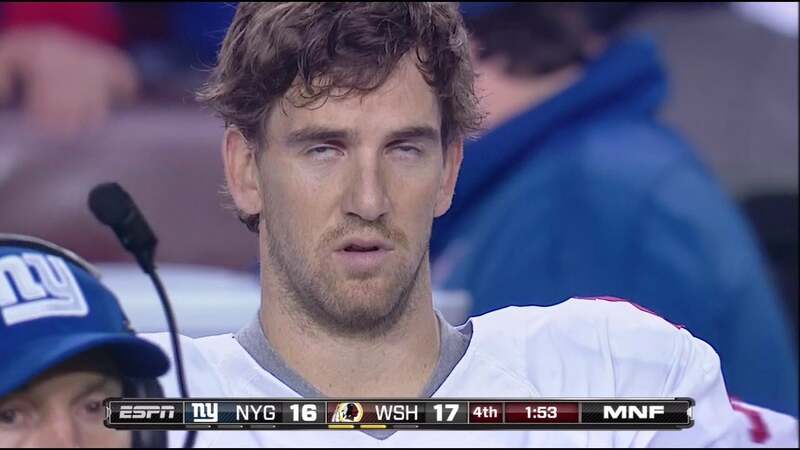 No conversation on outperforming expectations in January would be complete without at least a cursory mention of the most legendary Super Bowl swindler of all time: Eli Manning. 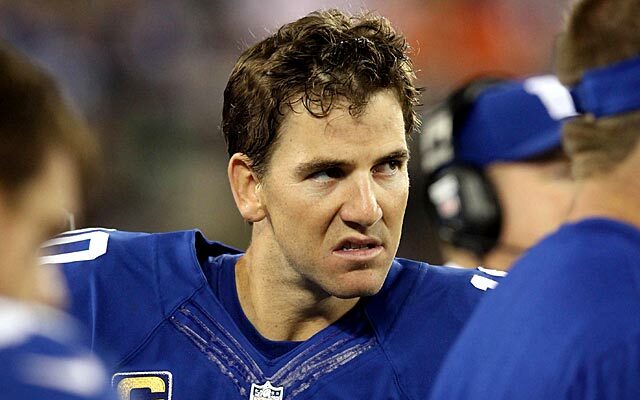 I’ve said it before and I’ll say it again, no one steals Super Bowls like Eli Manning. Perhaps the guy is just a clutch god after Christmas, but by my methodology above, he would have been expected to win on average only 0.31 rings. Hey, at least he’s smiling about it. Hi. This is very interesting. Can you share the code for this Pythagorean win regression calculation? Thank you. mylogit <- glm(SBWin ~ PythWins, data=recent, family="binomial") Hope that helps! I think it clear that there is thing as coolness under pressure, and big games carry a lot more pressure. Therefore playoff win should carry much greater weight. by the Giants, Brady would have 2 more rings. If those 2 Super bowls were somehow run over repeatedly would n’t one expect Brady to win at least half of them?